The combination of a calm beat, soft vocals, and rapping is something that’s becoming popular in the K-Pop scene. But where did this style come from? Surely something in the mainstream must’ve had its beginnings somewhere else. 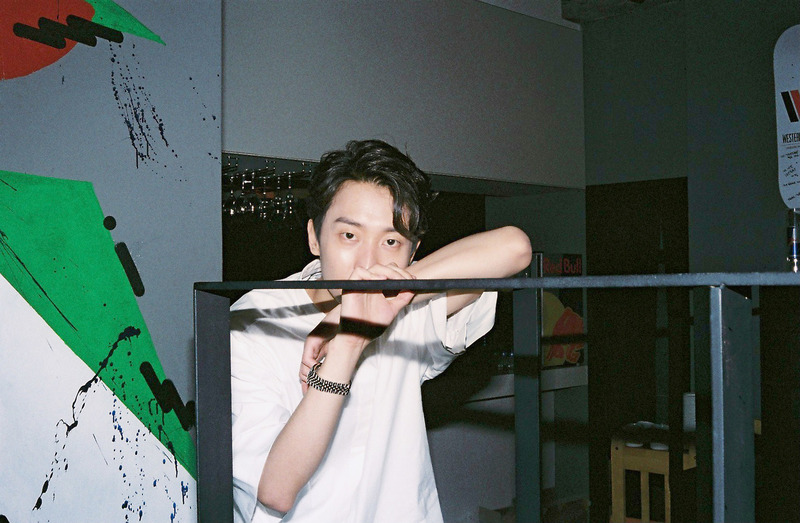 Crucial Star, real name Park Se Yoon, is a South Korean rapper, producer, composer and lyricist who has that craft down to a T in the hip hop spectrum. The 25-year-old began his career at the age of 17 performing with the hip hop group Libra Twins, but then joined label Soul Company and became a solo artist. Crucial Star debuted in 2010 with his first single Catch Me If U Can, and released his first mini-album A Star Goes Up in 2011, where he featured artists like Dok2 and Basick. He followed that up with A Star from the Basement in the same year, where he talked about the Korean hip hop scene and how most artists in the game don’t understand the fundamentals of the genre. In 2012, Crucial Star changed labels again after Soul Company went under and joined Grandline Entertainment, home to Geeks, Rimi, and K Jun. The piano and percussion song Nothing Lasts Forever from his mini-album Fall, is his reflection on the aftermath following the company’s disbandment, where he talks about his dreams and determination going forward. However, it was Flat Shoes from his previous EP Drawing #1: A Dream Spokesman featuring Lovely that was a hit. Crucial Star draws inspiration from his daily life, talking mostly about his own experiences and especially women. He loves a heavy bass within a gentle beat, which is the staple in his music. His rapping style resembles that of American rappers Drake or Kid Cudi by being laid back and cool. The artist mixes his rapping with his vocals effortlessly, which creates a very nice ambiance in his music. He also tends to do many collaborations with other hip hop and even K-Pop acts. In 2011, he composed I Just Want U and iPod Girl for then label mate Mad Clown. Once situated with his new company, Crucial Star collaborated with Zion.T, TakeOne, and The Quiett for Own Way for his EP Fall. Geeks also featured him on their remix version of Out of Breath, along with Ugly Duck, Zion.T, DJ Dopsh, 화나, and Block B’s Zico. As far as collaborations with K-Pop idols, Crucial Star was featured on Jepp Blackman’s, a.k.a. B.A.P’s Yongguk, Last One. And earlier this year, he released a remake of the jazzy Park Hye Kyung’s 2000 song Three Things I Wanna Give You together with Girl’s Day’s Sojin. The rapper released two EPs in 2013, Drawing #2: A Better Man and A Winter Love Song, and is now preparing to release his first full-length album. Midnight will mark his fresh start. The first single is Paris, a song that compares a woman to the city of lights. Directed by Lee Byungil, the music video is a beautiful work of cinematography that’s simple and chic at the same time, and has a very romantic feel to it. The second single Pretty Girl dropped on October 1st, and is a bit more uptempo than its predecessor. Pretty Girl is yet another collaboration with Lovely, who adds her sweet vocals to a very fresh and clean, soft hip hip song. Midnight, a 15-track album, will be released on October 24th, Crucial Star’s 26th birthday. Do you like Crucial Star? We’d love for you to share your thoughts, and don’t forget to follow us on Facebook, Twitter, Instagram, Tumblr, and Bloglovin’ so you can keep up with all our posts.